There are many dental practices that require treatment plans over several visits, which may take multiple months in order to completely replace your teeth. At Paris Family Dental, we offer a much more advanced solution that will have your full new smile completely restored in as little as one day. If you’ve been told that you’re about to lose some or all of your upper or lower teeth, there’s a new cutting-edge way of having dental implants, including a permanent bridge, finished all in just 1 day. Our teeth-in-a-day procedure allows you to have a complete new set of permanent teeth that you will never need to remove. If you’ve experienced having dentures, you know how difficult they can be. With today’s modern technology, you can avoid the unnecessary problems of dentures with new dental implants and a teeth-in-a-day bridge. The All-on-4 technique allows patients that are missing all their teeth to receive a new permanent bridge on as little as 4 dental implants, completed in one day. This includes patients who may not have been able to have dental implants because they do not have sufficient bone. They may now be able to get permanent teeth with the all-on-4 bridge. 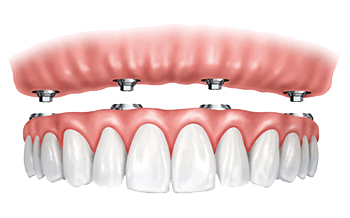 Almost all denture patients and those with failing bridges, or with severe bone loss from gum disease can now have permanent teeth with this latest type of bridge. Tired of loose and uncomfortable dentures? Dr. Del Toro can provide you with natural looking full teeth replacement that’s permanently attached to dental implants. This new Teeth in a Day technique is a much more comfortable and reliable than that of removable dentures, which will give you close to full chewing capacity right after the procedure. This process will also help prevent the loss of bone density that follows when teeth are lost. In almost all cases, Dr. Del Toro can perform the whole procedure in one day. Will you need dentures again? No. After having the dental implants placed, you will leave our Paris, TX office with a new bridge and non-removable set of natural looking teeth. You will never have to take your dentures out again! This technique is a way of using implants to anchor a full arch bridge giving a very stable result, and is ideal because it is completed in a short space of time. It can be used with patients who have lost substantial amounts of bone as it bypasses the need for costly and time-consuming bone grafts and utilizes implants in a unique way from the previous process. Regular implants are inserted into the jaw vertically, and when being used to replace a complete jaw are spaced out at intervals along the jawbone in order to give sufficient stability and support to both the implants and the bridge. There is no lengthy healing process and the success rate of these kinds of implants is extremely high. For this new full teeth replacement service, we use special and custom instruments, 3D imaging, newly released treatment products, and leading edge treatment procedures. For most patients, multiple extractions, bone grafting, implant surgery, and position of replacement teeth can occur within the same appointment. Many implant patients, including denture patients, are concerned with being toothless during their course of treatment. At our Paris Texas dental office, our patients do not leave without teeth, regardless of how many teeth require removal or how many implants are needed. 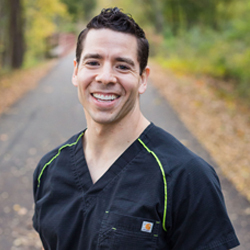 Dr. Del Toro has a variety of methods and products readily available for assuring immediate tooth replacement, even if extensive surgery is necessary. To learn more about this new advanced technology of Teeth-in-a-Day and All-on-4, contact us today to schedule a consultation with Dr. Del Toro.